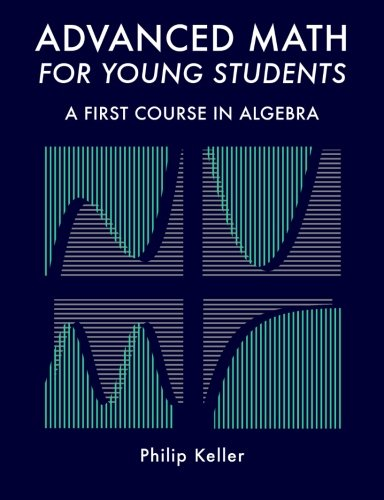 Advanced Math for Young Students: A First Course in Algebra now available here! Also available at Labyrinth Books in Princeton. 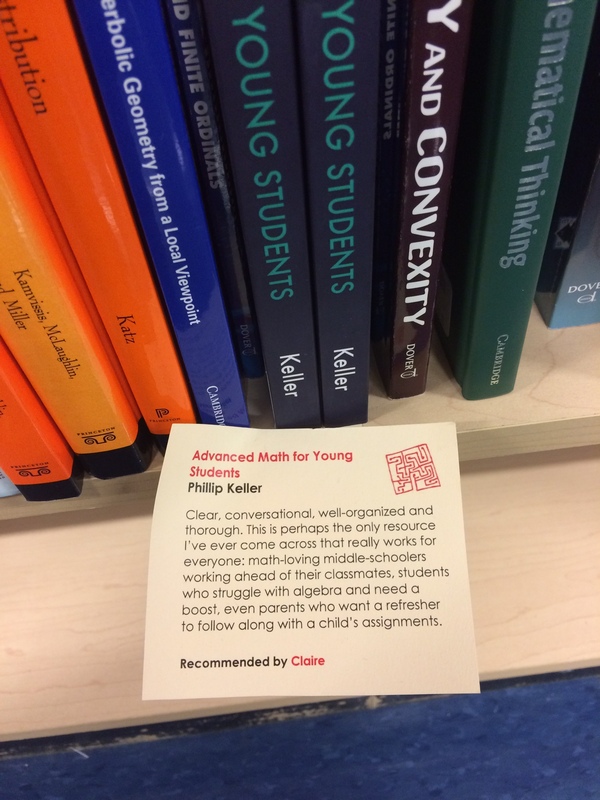 Advanced Math for Young Students is a clear, thought-provoking introduction to algebra, written for middle school and high school students. Emphasizing functions, graphs and equations, it demonstrates how the language of algebra is used, drawing examples from physics, chemistry and economics. This is not a traditional “Algebra 1” book. It is designed to be used before (or during) your first algebra class, though it also introduces some concepts from Algebra 2 and Pre-calculus. Philip Keller has been talking to young students about math and science just about incessantly for almost three decades. After graduating from Princeton University with a degree in Mechanical and Aerospace Engineering, he became a high school math and science teacher, teaching mostly physics but also chemistry, calculus and geometry, along with a steady side dish of SAT math. 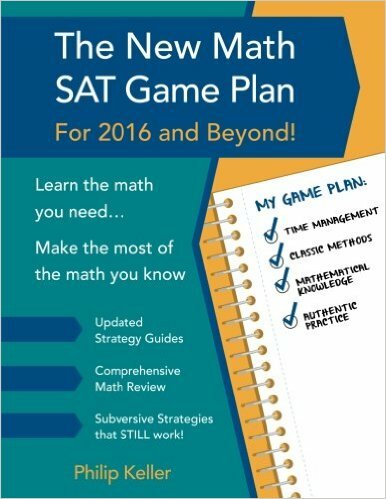 He is the author of The New Math SAT Game Plan. You can order it at Amazon, here. It is also available through Ingram and Baker & Taylor. I was really hoping not to need this section…and so far, I have not found many egregious errors. But some things can’t wait for a revision so I will note them here. Page 50, exercise #3. It should read: “…let the function k be defined by k(t) = 10 – t.” The point of the exercise is to contrast this definition with that of the previous exercise, where k is defined by k(x) = 10 – x. The two definitions are equivalent. It doesn’t matter what letter you use to represent the input to a function. Page 102, #48 Two mistakes in one problem! Arrggg! First of all, it should read: “Let the function g be defined by g(x) = …” That second g is missing. Then, in the answer key, the answer incorrectly states that b=6…that should be b=-6. And that’s all so far.